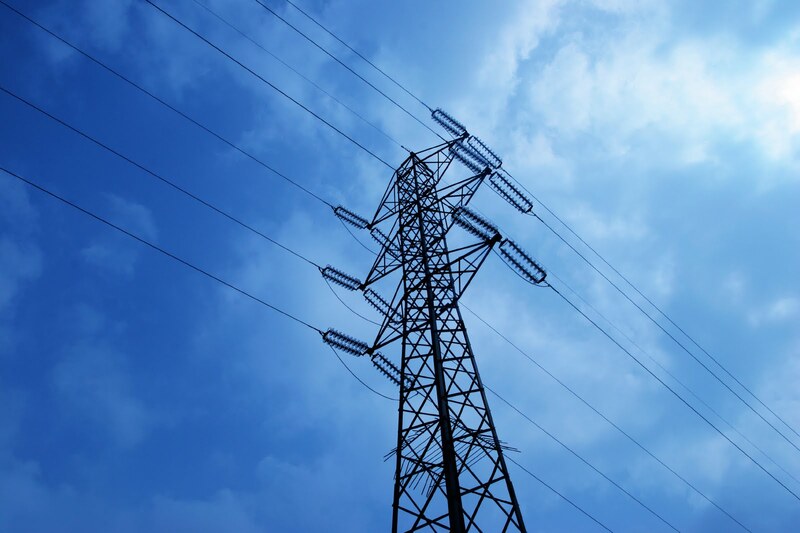 What is the test of a free energy market working? UPDATE: Conservative Environment Secretary, Owen Paterson, has also voiced his concerns over the unacceptable delay in returning power to thousands of customers cut off by stormy weather just before Christmas with many left without power on Christmas Day and onwards. Mr Paterson said power companies had “let their customers down badly” and UK Power Networks CEO Basil Scarsella said his company “could and should have done more” to restore power. Perhaps I wasn’t being such a Red Gav after all? Hmm, perhaps it’s an ability to keep the lights on when there is a bit of a breeze? My inner socialist has come out again this morning. Just been watching a Sky News report on those still without power since before Christmas. Customers, yes customers, have been left on hold for three hours by the electricity firms when they have called to find out when they can expect to have the lights turned back on. And still, five days on, thousands of homes are without power. Why were there not representatives from Southern Electric on the ground with mobile canteens to feed people and give them hot drinks? This is the problem with privatised utilities – they literally can do almost anything they like. 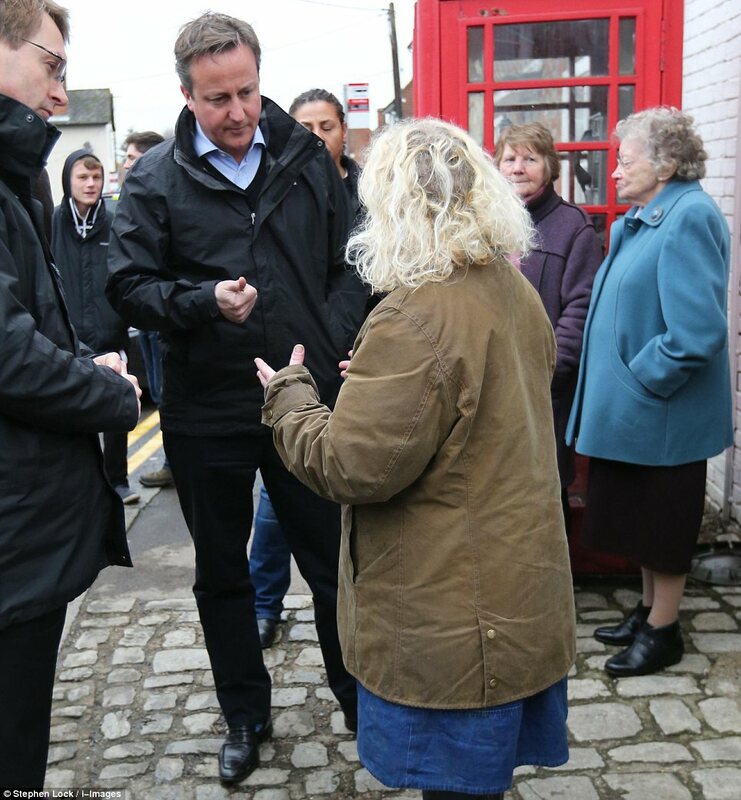 David Cameron was in Kent yesterday listening to the woes of voters; he came across as completely impotent on the issue – because he is! The Prime Minister has no power (no pun intended) to tell the energy firms to pull their fingers out and get men on the ground. For electricity companies to turn round to customers, yes customers again, and say if you don’t get your power back on by 23:59 on Christmas Eve then you will *not* have power on Christmas Day is a disgrace. They have just put our electricity bills up by over 100% in many cases and this is how they treat their so-called customers. If they were nationalised, I suspect things will have been resolved by now or there would be a mutiny on the streets. At least David Cameron is visible unlike the faceless fat cats of Southern Electric who no doubt are tucked up warm in their mansion far away from the plebs they pretend to “serve”. 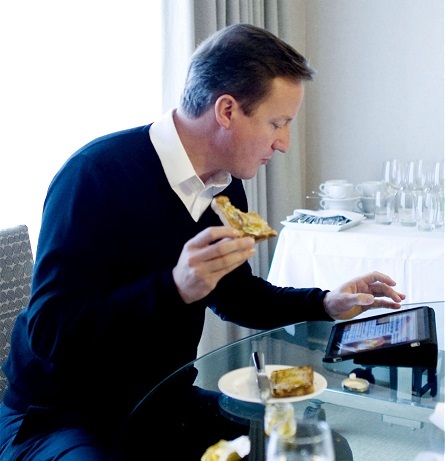 Categories: Politics | Tags: Christmas 2013, David Cameron, energy firms, energy market, energy prices, power cuts, privatisation, Socialism, Southern Electric, UK | Permalink. 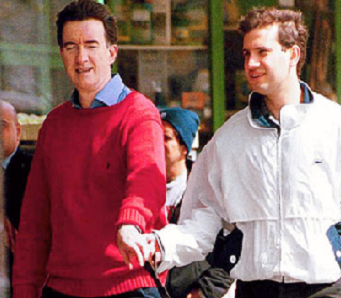 Boring, bland politicians – no wonder we’d rather talk about knitwear! I was chatting to a fellow politico online earlier about the BBC’s Question Time and he was suggesting it was biased (shock, horror!). I countered by saying it wasn’t the production that was bias but more the fact the three main parties are all the same – you could hardly put a cigarette paper between Labour’s Tristram Hunt (yes, he is Labour even with a Tory name like that!) and Mark Harper (what a dull dull politician if there ever was one!). And then the producers need to fill out the panel with people who can actually string a sentence together so they book, on the whole, media types or celebrities and they are nearly always left-wing, which is hardly surprising considering they collect their dime in an industry which has always been stacked full of lovies and right-on metrosexuals! Every now and again a right-winger from the media world turns up such as TV historian David Starkey or former Sun editor Kelvin MacKenzie. I have also been in the audience when they record Question Time and there are fair few right-wingers but they don’t tend to speak up for fear of being stigmatised, especially when the panel is generally to the Left, Cameroon Tories included! So what has politics descended to when there aren’t any ideological differences – in fact, there isn’t any ideology at all. Yep, that’s right – jumpers! I kid you not. For my international friends, a jumper is – in the American-English parlance – a pullover sweater (or sweader, as they say on the other side of the pond!). Something bizarre happened in the journalists’ briefing in the heart of Government this morning – also known as the Downing Street Lobby – when the Prime Minister’s spokesman said it would be a good idea for all those people out there feeling the cold, but unable to pay the cartel-level energy prices, to jolly well put on a nice jumper. Cue the Labour Party leader’s team descending to Twitter and the hacks falling over themselves to tell a good jumper yarn. The best write-up of Jumper-gate (yep, it had to get it’s own “-gate”!) has to be Guido Fawkes who has been delving in the picture archive. One of the best ones has to be master of the political dark arts, Lord Mandelson. I have just received a note from David Cameron entitled “Help us to finish the job”. It is full of vacuous phrases like “Let’s never lose sight of what we’re fighting for: a recovery that all hardworking people can share in. Good, decent, well-paid jobs.” I don’t normally comment on these CCHQ missives but when I actually SEE the Government fighting for “decent well-paid jobs” I’ll start to parrot the rhetoric. That is just not true. Much of the unemployment decrease is down to people being forced into part time jobs and those who kept their jobs during the Great Recession (caused by Labour) have had to endure pay decreases to keep those jobs. And this does not even take into account the fact prices are outstripping wages month after month. Now, I’m a Tory member (still) but even I can’t swallow falsehoods of this kind. One of the arts of political rhetoric is to at least be on the right track if tackled by your opponents. How on earth could this Coalition Government claim to be fighting for “good, decent well-paid jobs”?There is zero evidence of this – all around us prices are rising above wages, the Government’s goal seems to be to keep people off the dole come what may, even if it means Britons working for a pittance, which many are now enduring! I’m not blaming the Government for this per se, but saying they are trying to do something about it is ridiculous! I’d love to hear what my fellow right-wing readers think of this. Categories: Politics | Tags: CCHQ, Conservatives, David Cameron, David Starkey, energy prices, Guido Fawkes, jumper-gate, Labour, Peter Mandleson, Tristram Hunt | Permalink. What is Dave going to do about the cost of living crisis? And in other news, voters have dumped a strong incumbent party politician in a provincial poll in Nova Scotia, eastern Canada, and replaced him with a Liberal party candidate who, lo and behold, promised to bring under control soaring electricity prices. David Cameron should take note, especially as he doesn’t even have a strong incumbency. The Nova Scotia result is what will happen to the Tories on a massive national scale unless they get their act together and come out soon with a clear, concise cost of living policy. Conservative backbenchers are imploring him to counter the Labour leader’s announcement to freeze energy bills by ditching the green levies Ed Miliband forced on energy firms with his Climate Change Act 2008, and paid for through your increased electricity and gas prices. Only last Friday, darling of the Tory Right, Priti Patel, MP for Witham, speaking at an Ipswich Conservatives’ fundraising dinner, said the leadership needed to start talking about Conservative values and in a language the electorate will understand about the economy and the cost of living. Ms Patel rightly said “deficit reduction” didn’t mean anything to the ordinary voter in marginal seats like Ipswich. Without mentioning him by name, she made it clear Ed Miliband’s rhetoric on energy prices – albeit hypocritical considering his actions when he was Energy Secretary in the last Labour government – was hitting home amongst the British people and the Conservative Party needed to counter with a distinct message of their own on how the Tories will tackle the cost of living. Priti Patel signalled her party was constrained by being in Coalition but did not believe the Coalition would fall apart before the 2015 election, not least because the 2010 Coalition Agreement forms the statement of work for the Civil Service. Whitehall mandarins move slow at the best of times so there is no chance of a formal break-up of the Coalition government before the next general election. But this should not stop David Cameron doing what the Liberal Democrats do already from their standpoint. The PM should set out a coherent Tory offering to the British people now and not be afraid to criticise the Yellow Peril when necessary. The Prime Minister could start by announcing his government is going to help with rising energy bills in a way government actually can: by scrapping the green taxes on our bills within weeks. Lib Dem Ed Davey (what is it with these Eds!? ), the current Energy Secretary, may have come out publicly to defend the plethora of green levies his department imposes on everyone’s gas and electricity bills but unless David Cameron wants to take his party down to the abyss of electoral defeat he needs to unleash his inner Tory. If he waits too long, the voters may have already decided to follow the Nova Scotian lead. Categories: Politics | Tags: Canada, Conservatives, cost of living, David Cameron, economy, Ed Miliband, energy prices, Ipswich Conservatives, Labour, Liberal, NDP, Nova Scotia, Priti Patel | Permalink. Remember where you were today. It will go down in history as the day the catastrophe that is the communist green policy agenda came home to roost. Ed Miliband, the slippery, amoral, socialist snake he is, has secured a very strong political point in his Labour conference speech this afternoon in stating he will freeze energy prices for 20 months if Labour wins the next General Election. This will resonate across the country. But let’s take a step back: it was Mr E. Miliband who has CAUSED your HIGH energy prices. nPower, EDL, Scottish Power, British Gas et al have pushed your electricity and gas prices up to pay for the investment in renewable energy the Government has forced them to do as a result of Labour’s Energy Act of Parliament 2008. The big six UK energy firms by law must pump billions of pounds into wind farms, solar, carbon capture and storage etc and funnily enough they need to be compensated to keep their profits sky high and continue paying handsome bonuses to the boss class. So what do they do? They come for you and one after another in short succession they put your bills up at least once a year, thus an average energy bill now stands at £1,200. Thanks Ed. Your energy bills are the greatest outgoing after your mortgage or rent because of green policies implemented by the last Labour government to ward off unproven anthropogenic global warming in a time when global temperatures are actually going DOWN. However, don’t think for one moment Ed Miliband has had a change of heart and is having a McBridge-esque moment of contrition. He still very much believes in make-believe anthropogenic global warming as it fits very nicely with his closet Marxist views on capitalism, whispered into his ear every night when he was growing up, by his father the academic and publicly declared Marxist Ralph Miliband. So potential prime minister Miliband and his sidekick Ed Balls, if they get into power, will still force energy firms to keep investing in wind turbines that don’t turn and have to be switched off when it is too windy but they will also force the energy providers to freeze your bills for 20 months. Hold on. Someone with a ‘U’ in Mathematics GCSE knows that this doesn’t calculate and in all seriousness it will probably switch off the lights à la 1970s style! There is another way: repeal the Energy Act 2008. That’s not happening anytime soon, mate. Don’t forget we’ve got a social democrat in Downing Street with a big enough trust fund not to have to worry about the bill from British Gas when it drops on the sheepskin rug. David Cameron has done nothing to reduce energy prices in his three and half years in office and has encouraged them to rise by appointing Liberal Democrat Ed Davey (another Ed!) to the Energy and Climate Change (ha!) Whitehall department and by kowtowing to the EU directives which are forcing our coal and gas fired power stations to close down with no equivalent replacements. New nuclear power stations aren’t even off the drawing table! So the electorate now has a choice on how to get their gas and electricity bill down between the socialist and deluded rhetoric of Ed Miliband and the deafening silence of David Cameron. Yep, no choice at all – neither are fit for purpose. “Too many of the jobs we’re creating in this country are just too low paid, too many of the gains in our economy are just scooped up by the privileged few, including those big bonuses, and too often you are left being charged over the odds. It is living standards which the next election will be fought on and frankly it doesn’t matter if Miliband’s rhetoric doesn’t match any inkling of what is possible in reality. People hear about a recovery in the economy but feel nothing has changed for them since 2010 – and in fact has got worse. Outside of the boss class, wages are offensively low. Even professional couples just have enough cash to carry them through from one end of the month to the other. 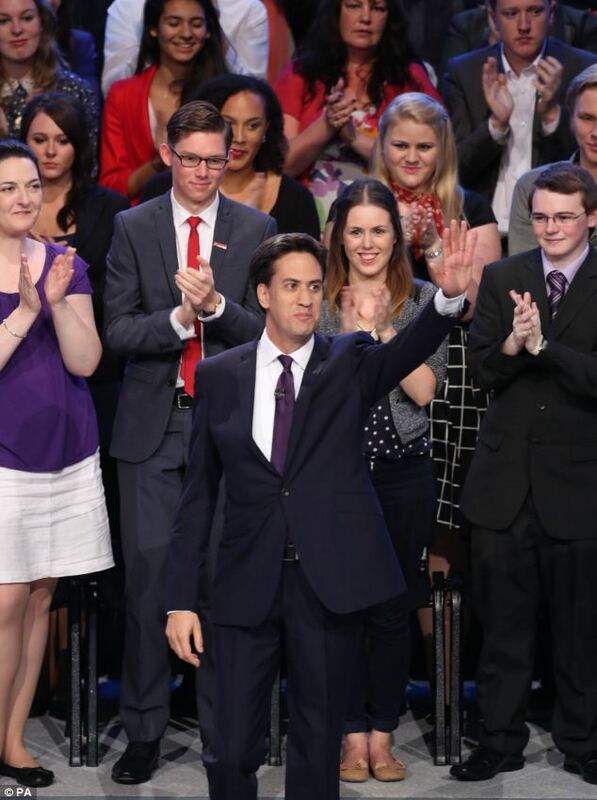 This feeling is what matters to voters and Miliband knows which buttons to press. It’s the economy stupid. You’re not wrong, Bill. Categories: Politics | Tags: Coalition, David Cameron, economy, Ed Davey, Ed Miliband, energy prices, Labour, Labour Party Conference, rip-off Britain | Permalink.